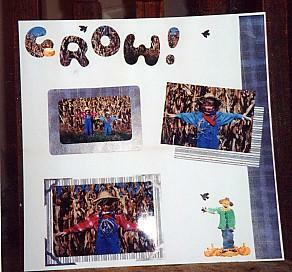 The boys were scarecrows for Halloween 2000 so we had a "dress rehersal" the Sat. before and found a corn field and got some pics. They even had little crows on their shoulders:) It was a hoot and they were so cute and fun.